P.S ‘loco’ means crazy in Spanish. Nondescript, self-effacing exterior and interior at best, which is worrying to a certain degree but it’s ultimately what lies underneath as inner beauty. In a restaurant’s case, their abilities to dish out good food should be the main concern. Being at such an neighborhood location makes PocoLoco highly undiscoverable. And affordable as well. Adding on to that obscurity is simple exterior and decor that does not scream attention — which concerns me because PocoLoco is the kind of place that deserves the attention. 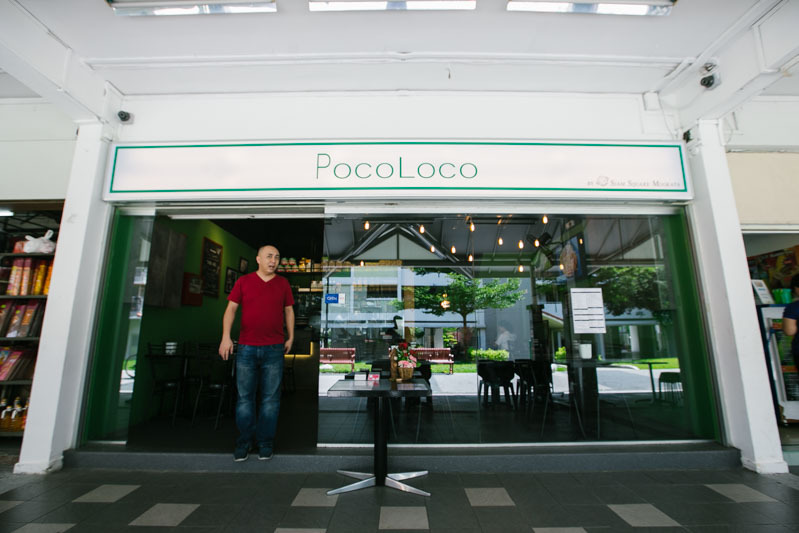 PocoLoco isn’t just a restaurant with amateur chefs or lack-lustre food that tries but fails, instead, they are a restaurant that knows their stuff from previous F&B experience. 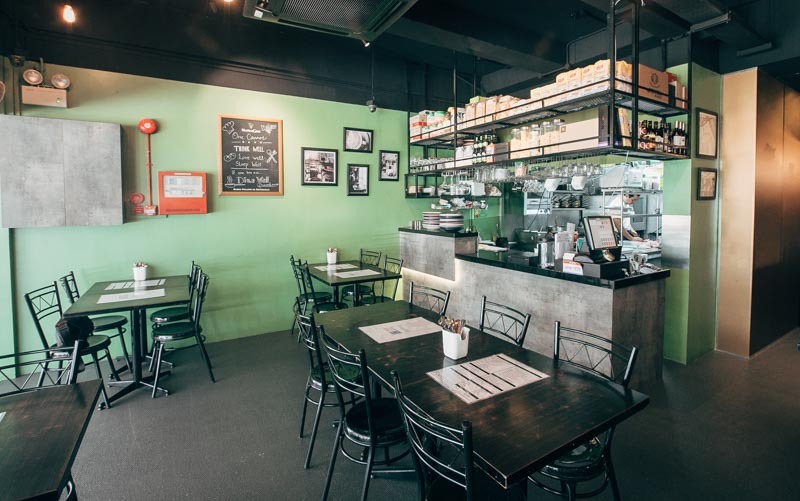 From the latest gourmet trends to the secrets in bringing out the best in Italian food, PocoLoco is the hidden and humble gem that knows what tastes good for the community. Inside, it is bright and simple, advocating the whole no-frills idea. 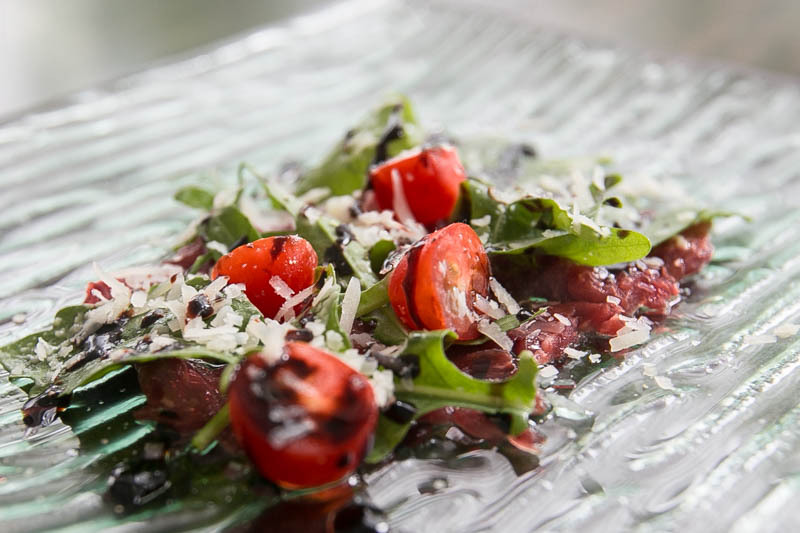 Thinly sliced beef tenderloin seasoned with truffle essence and balsamic vinegar, topped with salad and finished with a pinch of salt and parmesan shavings. Considering that I don’t fancy beef, this was pretty damn enjoyable. Just the right level of aroma and flavour from both the tenderloin and truffle essence accompanied by vinegar dressing and salad that brought out the appetising factor. Portion might be a bit small though. Baked Hokkaido baby scallops with capsicum puree and flavoured butter. Loved this dish, especially how the sweetness of the peppers come through in the puree – bringing depth to soft yet slightly chewy scallops. The dollop of buttery seasoning on the scallops was mouthwatering – tasting of garlic, onion and cheesy. PocoLoco made their own seasoned butter to obtain such a fragrant formula. 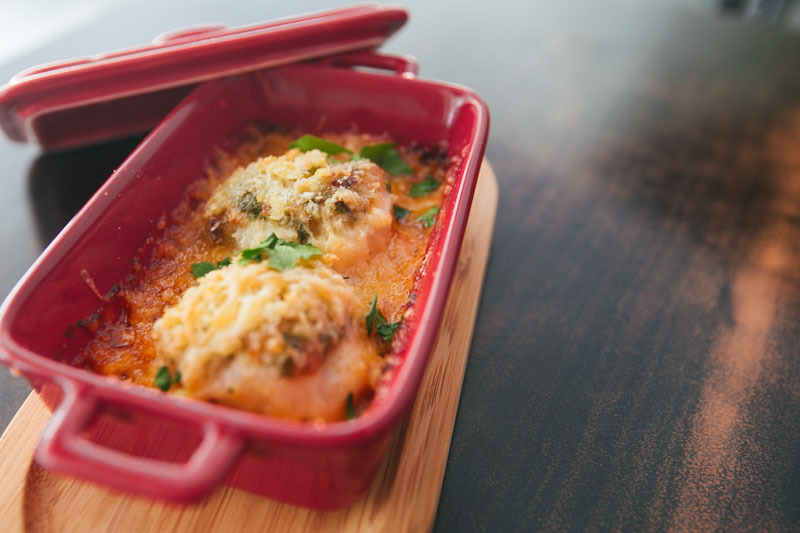 A layer of cheese sprinkled on top is baked till golden and crispy, contrasting with the texture of puree and scallops while providing a classic baked cheesy edge. Altogether, the scallops, capsicum puree, flavoured butter and crisp melted cheese made this Capesante a delicious, well-rounded dish. I personally like pink sauce pastas because I feel they’re the best of both worlds. Tomato or cream? Why not have both! That being said, the fact that there’s cream inside highly increases the probability of the eater feeling ‘gelat’ or sick of the dish. The tomato serves to balance that. 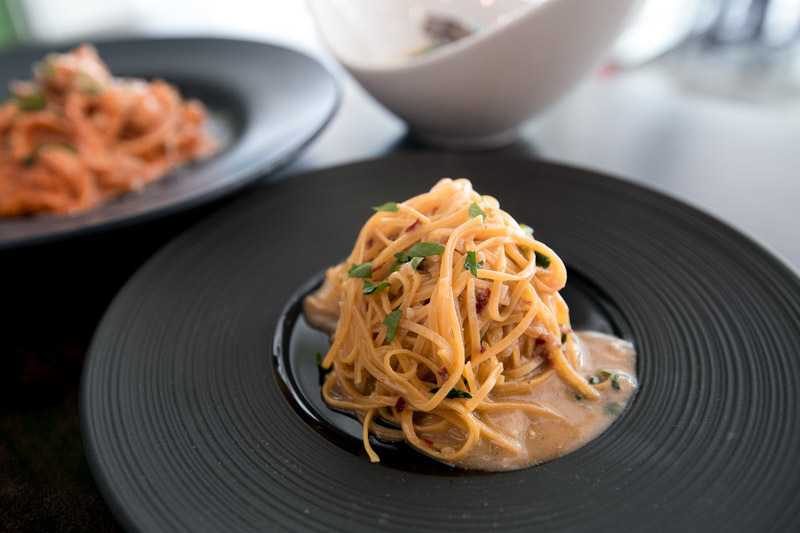 PocoLoco’s pink sauce pasta was on the sweeter side, could do with more flavour of tomatoes. 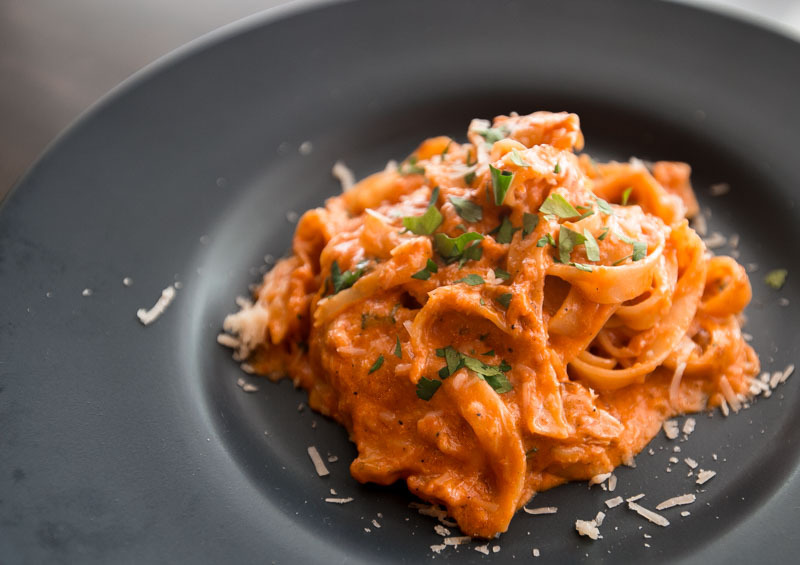 Shreds of crab meat cling to the sauce and strands of delicious pasta. A very simple, almost homely dish (because I’m not sure if foie gras is homely), that wow-ed us. 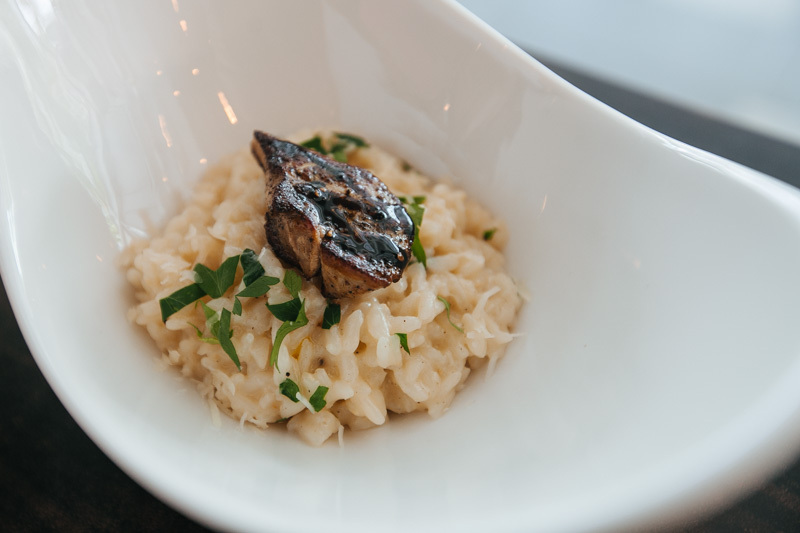 The risotto is simple and cooked well. The rice holds its shape while glistening in the goopyness of the stock, and it still wears that subtle stock aroma. Could be softer and more flavourful but that’s only a personal preference. Traditional risotto is a bit firmer (al dente). Adding foie gras definitely brings a new layer of flavour. The foie gras is seared on all sides, giving it a charred exterior that is crisp and fragrant. Although the degree of searing probably compromised the texture (there was no melt-in-your-mouth sensation), the flavour of the foie gras was still adequate and present, not too gamey and overpowering. Also, the little drizzle of balsamic vinegar helps reduce the characteristic foie gras taste. All aboard the uni bandwagon. PocoLoco occasionally does specials depending on what’s in stock or in season. Having found decent uni, they made uni pasta inspired by the recipes of the manager’s Japanese chef friends. The sauce is of course rich with seafood flavour and coloured a murky orange by the uni. The pasta managed to be incredibly aromatic because the chefs used vongole broth as a base. There isn’t uni topped onto the pasta because welllll, for the price you’re paying, the uni would be ashamed to appear on top. 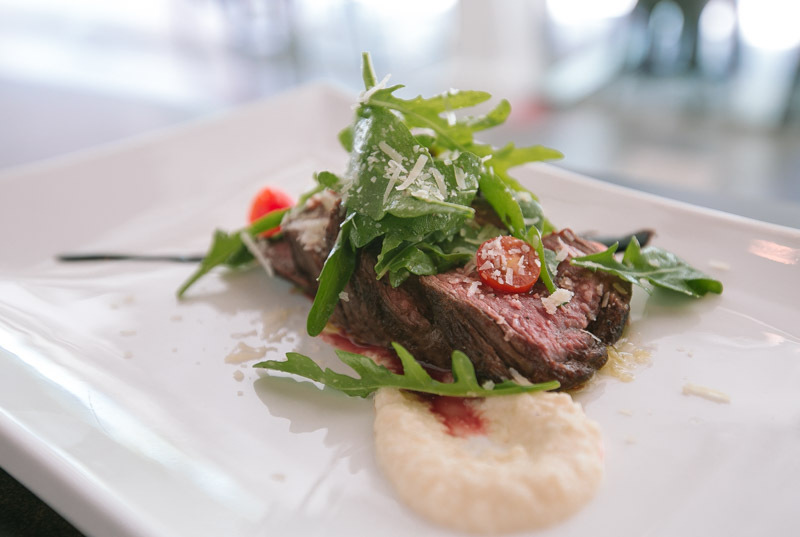 Beef that is cooked Tagliata style. This Italian sliced steak is simple to season, but tricky to cook. Ours was seared nicely on its sides; imagine pinkness framed by 2mm thick browned meat. Extremely tender and had close to no odour. The cauliflower puree was a lovely touch. Honestly, I feel like I only enjoy cauliflower when it is made into puree haha. Probably the best Tiramisu I’ve had in Singapore. Better than many high end restaurants. Unlike most tiramisu outside, the biscuit/shortbread fingers or what have you were not soggy. It was still deliciously crunchy whilst infused with Italian coffee liquor. Yeah, they used Italian liquor instead of Baileys or Kahlua and I suppose that’s part of the Italians’ secret to amazing tiramisu. The mascarpone cream was light and heavenly. 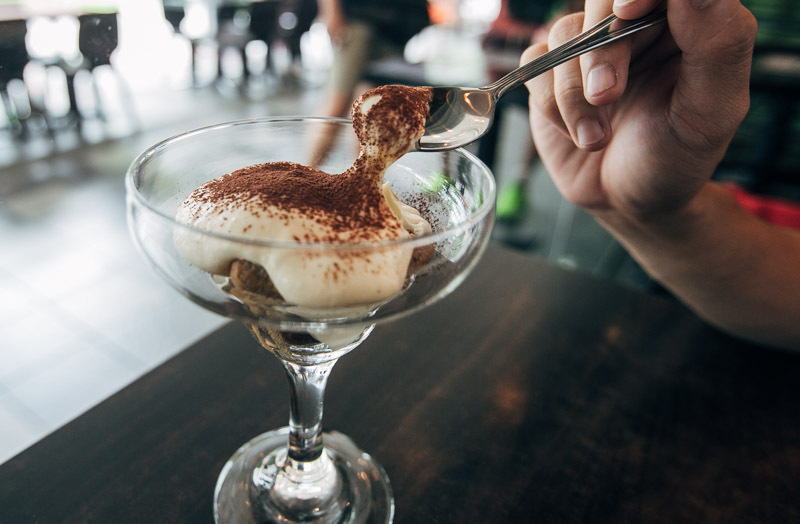 Altogether, PocoLoco’s tiramisu was decadent and dangerously addictive. I could have 3 more servings of it. PocoLoco is a place I’d love to come back to and in the meantime, will recommend others to visit. Why? Simply because it’s more than good enough Italian food at half the prices you find outside. You’re broke but still want to go on a nice dinner date? PocoLoco. Always wanted to try Italian but don’t want to seem like an idiot or splurge at classy restaurants? PocoLoco. With tasteful Italian food at a fraction of the prices you find outside, PocoLoco is worth the trip and truly worthy of recognition. They aim to serve you fantastic tasting italian food at cheap prices and at the same time, introduce Italian food to the heartland. So you see, they’re here for the regular penny-pinching people who still want to enjoy good food. But, my only qualm with this place is its small serving size. So if you’re one who loathes paying to be fed less than full tank, this might not be your pitstop.